Returning from Brussels where the GS1 Global Forum took place in February, we took away valuable insights into where different regions and countries were headed with respect to the future of aggregating & disseminating consumer product data as well as the role regional GS1 member organizations would play or not play in that future. Over the course of the week, we had an opportunity to interact with tens of regional representatives from GS1 across North America, South America, Europe, Middle East, Africa and South East Asia and learn what kind of a role they intend to play within the future framework of consumer-oriented product data, what their plans are and where they are at with their initiatives. It’s almost universally clear across regions that product data and it’s availability to the consumer is going to be a major driver for the success of both consumer product brands as well as other segments like personal care products, healthcare, electronics, hard goods and more. Consumers are increasingly internet enabled, deciding purchases on the basis of data and in a digital era, data is everything. Some GS1 member organizations have seized the opportunity, made a committed investment and have started gathering and aggregating consumer-centric product data with a clear vision of the future. Others have acknowledged the opportunity and are deciding on how they want to approach this, what kind of technology to deploy, identify the drivers for their markets. Still, others are far behind in the process, haven’t started a committed effort to get into consumer transparency and providing product data which could well prove to be an opportunity missed or snatched by a non GS1 player within the region. The need for consumer-facing product data is unquestionable. Consumers purchasing products off the shelf will rely on it, e-commerce players will ask for it, mobile application providers will need it, retailers and their in-store technologies like smart-shelving and mobile coupon systems will require it and others too. GS1 organizations who already have strong relationships with manufacturers and brands within their regions are in a unique position to be that trusted source for product data. · They are already connected with brands & manufacturers which puts them in the best situation to collect & source their data first hand. · Having the GS1 Source standards, they have the unique advantage of creating a standardized, interoperable or globally connected network of data sources, unlike standalone or individual data aggregators. · They’re in a position of trust from both the brands and consumers viewpoint which makes them the perfect intermediary to ensure communication of information between the two. 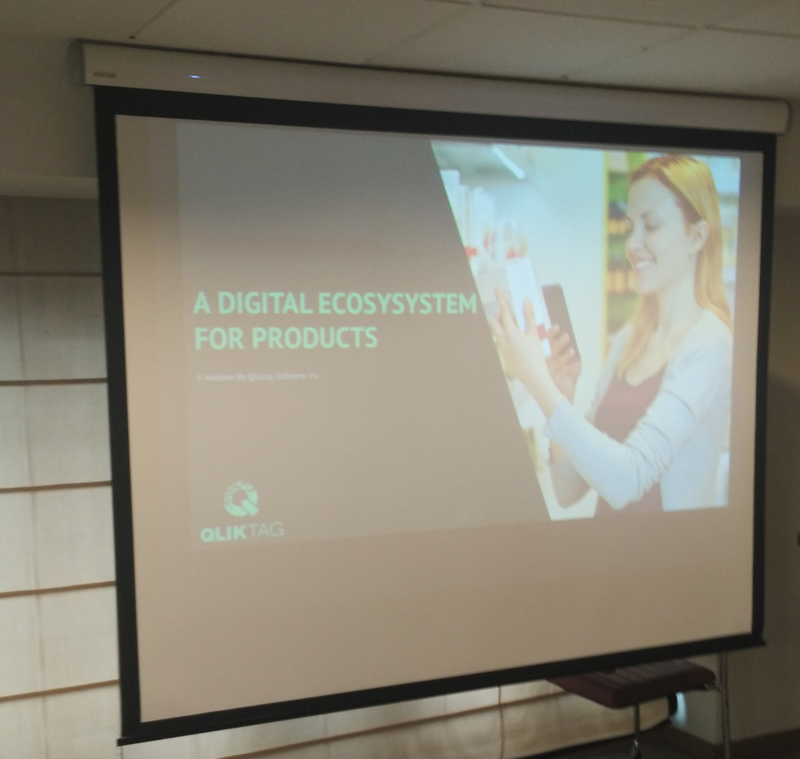 · Standards such as GS1 Source, GS1 SmartSearch (GTIN+ on the Web), smart shelving, Digital Shelf Identification and initiatives like the GDSN network, GMA SmartLabel all provide the perfect tools and technology foundation to become the leader in consumer data dissemination. However, the window of opportunity is open for a limited time and with the speed at which the digital shift is happening globally. GS1 members have to be positioned for this future today, or perhaps yesterday even. Most of this product data today is scattered even within a manufacturers organization and the process of collecting, verifying and aggregating this data is a challenge. One, that can take time. There’s also the threat from non-brand sanctioned sources of data such as review sites, e-commerce websites, scrapped databases and curated product information which is not the most reliable but will become the de facto alternative for consumers if there isn’t a brand-verified, reliable source of data within the market. That could be a missed opportunity in regions where the technology infrastructure and the process of building a GS1 managed product data ecosystem isn’t already in progress. That said, from those GS1 members that have had an early start in setting up their aggregators and building their pools of consumer-related product data, we’re already seeing some exciting initiatives which are snapshots of what the future could look like. Smartphone apps that can be pointed at any product, anywhere within a country to pull up information, apps that advise you on what to shop for, smart ways to get offers and coupons exactly when you could use them, accurate listings on e-commerce sites so you can confidently make online purchases. There’s a world of possibilities and some we’re already seeing materialize in certain countries but it all starts with making that commitment to aggregate the data correctly in a future-proof manner.